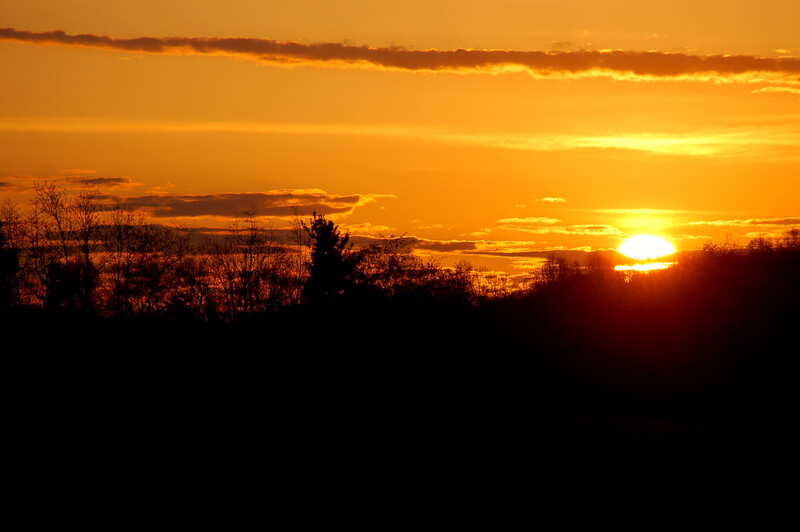 I sat and watched the morning sky become illuminated as I heard a gobbler sound off across the hollow and road. I waited for five more minutes hoping I would hear another much closer. I failed to do so. I began to go back down the hill I had just climbed and try to get to the gobbler before he left the roost and get a set up to call him in. I set down and called and I heard nothing in return. I waited and believed I heard a gobble way out across the field. I slowly began a tour of the area with calling and listening. 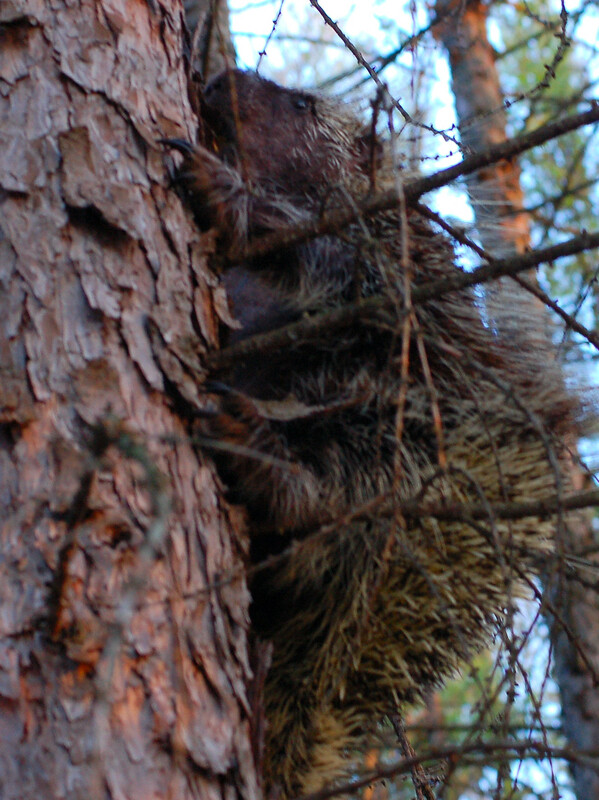 I saw some movement and noticed a nice-sized porcupine. Most of my photos were blurred in that gloomy, dark time. As I circled around I heard a hen calling back to my turkey calls. I set up and she came in and close just chattering away. I hoped a gobbler would tag along behind her. None did! This deer almost walked into me! 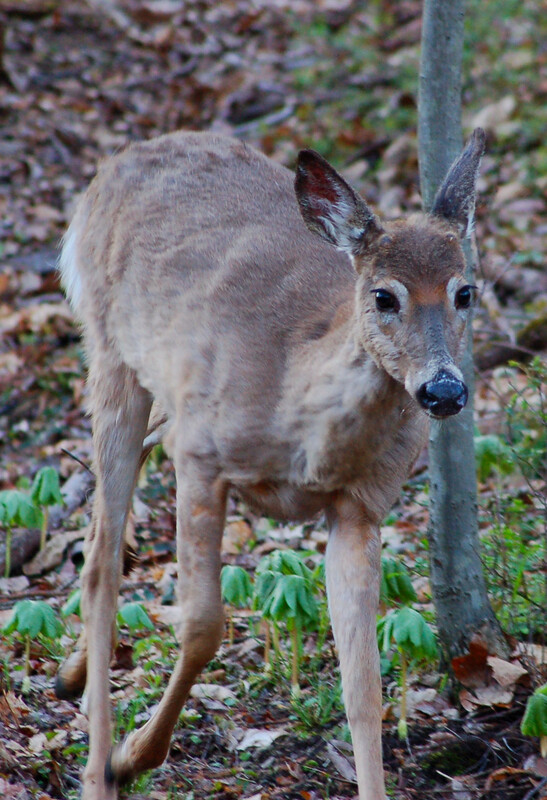 I saw plenty of deer and squirrels as I continued sneaking and calling when I heard it… a gobble from above me. I moved in and set up and gave a series of calls and waited. The big gobbler crept close gobbling and strutting. I could hear his drumming sounds as the gap narrowed. 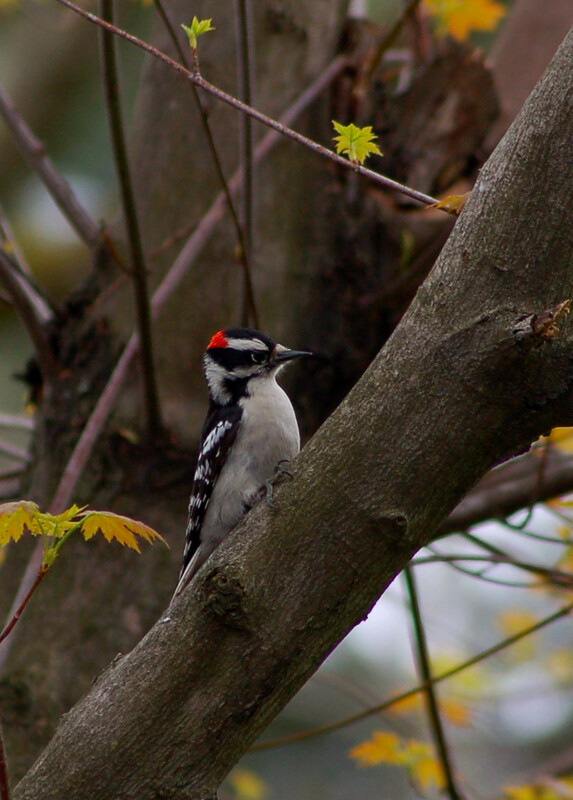 He moved very slowly as I watched his approach. He was being cautious! 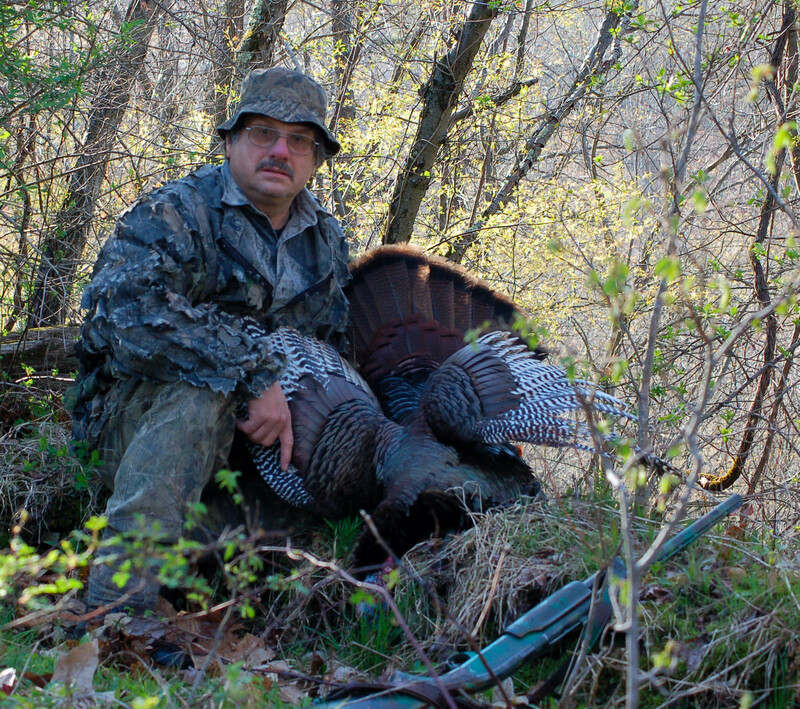 The gobbler stepped behind some young maples and I waited for his next step. The thirty-eight yard shot dropped the bird and my first tag was filled. The bird was a two year old with one spur being 7/8 of an inch and the other spur was exactly one inch. The beard was nine inches in length. However, the weight was unexpected. 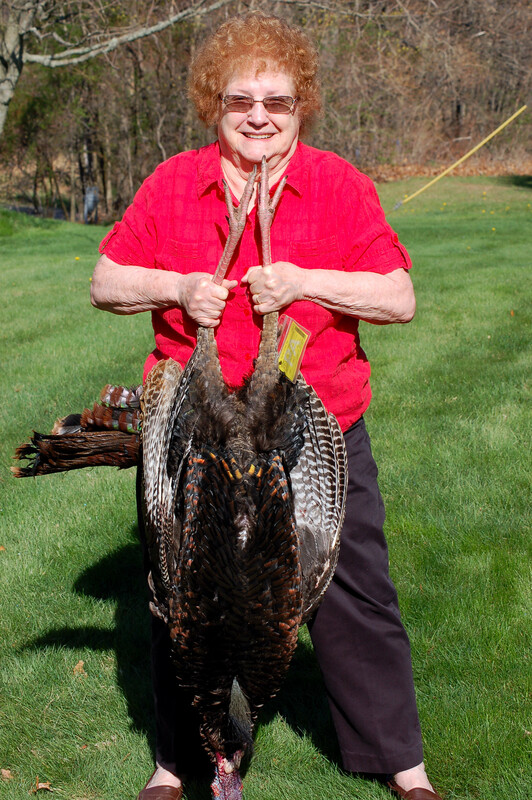 The bird was just a couple of ounces shy of being 23 pounds. Congratulations Larry. I hope that one of these days I will get the opportunity to get back to the Kittanning area and hunt again—-I doubt it will be this year. Thank you John… Our friend, Randy, would have loved to hear of these hunting stories. I hope you can make some future hunts too. Plan for an adventure soon. Way to go Larry! Fine bird. 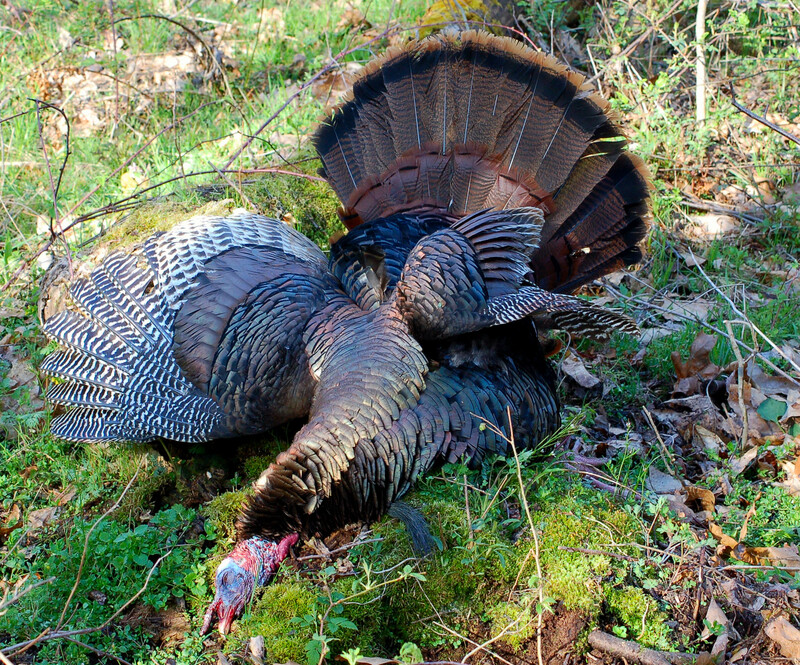 Thanks Kip…spring gobbler hunting is what we love.